Texas Ruby Owens was one of the great female vocalists of early country music. The sister of "Tex" Owens, the composer of "Cattle Call", deep-voiced Ruby was called "the Sophie Tucker of the Cowgirl Singers" when she first appeared on radio. Though she hit her stride before the LP came on the scene, her sudden death in 1963 prompted two tribute LPs, one on the King label, the other on Columbia's Harmony imprint. In March of 1963, her husband Curly Fox went to the Opry to play his fiddle for the Opry's union guarantee. While he was gone, Ruby passed out with a cigarette and set their mobile home on fire. Ruby did not survive the blaze. This post includes the complete contents of both the King and Harmony LPs, plus one bonus song from both the King and Columbia labels. I have included jacket scans for both, King honcho Syd Nathan's notes on the King LP seem movingly sincere. Hope you enjoy! A wonderful, edgy Starday album by some old-timers of the traditional country genre, recorded in the early '60's. Curly Fox and Texas Ruby first appeared on the Grand Ole Opry in the late '40's, and went on to numerous other locales before returning to the Opry. They recorded this album for Starday in early 1963, Ruby passing away in March of that year. Here Starday features much of Fox's way with a microphone (he snorts a lot, is he on coke?) while four tracks feature Ruby. Although that's not enough, she proves she's still a master of country ballads at the end of her life, as "Shanty Street", "Big Silver Tears" and the yet-more-poignant "Love Me Now" prove. 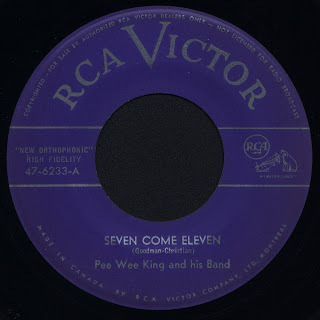 As an added bonus, I have included Curly's late 1940's King recording of "Come Here Son". Includes jacket scans thanks to Lefty's pal, Andyrama. Twelve 1950's tracks from "Mama Maybelle and her little daughters", Helen, June and Anita. They are drawn from early television broadcasts of the "Stars of the Grand Ole Opry" series produced by Al Gannaway. During the late forties to mid fifties, Maybelle and her daughters were an act that found some success on radio, but never recorded to the best of their abilities. Despite the less than hi-fi nature of these recordings, they present what is probably the only collection, on CD or blog download showcasing this particularly varied and vivacious era of Carters in the country music industry. This post is worthwhile if only for the chance to hear the voice of Anita, the treasure of the second generation Carters. Many of these are timepieces, "Don Juan" is very fifties, and Anita is at the peak of her vocal prowess. She is stunning on "The Parting Of The Way" as well. The girls do a great job on Marvin Rainwater's "I Gotta Go Get My Baby". Maybelle, who sings so much of the seminal catalog of Country music it's first time on records, sings "Humming Bird" to the same high standard as the afore-mentioned performances. A young Chet Atkins on guitar can be heard throughout. All of this group has now passed on, in fact, none of the second generation Carters survive. 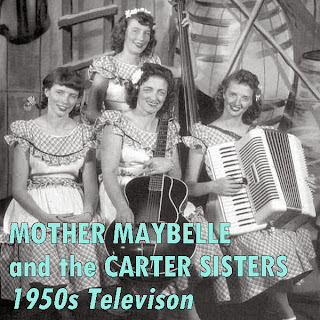 The Maybelle, Helen, June and Anita of this era never made an album as such, so it is hoped that this folder of performances from their heyday will serve to initiate many who were not around the first time to enjoy the delights of "Mama Maybelle's little daughters", the Carter Sisters. 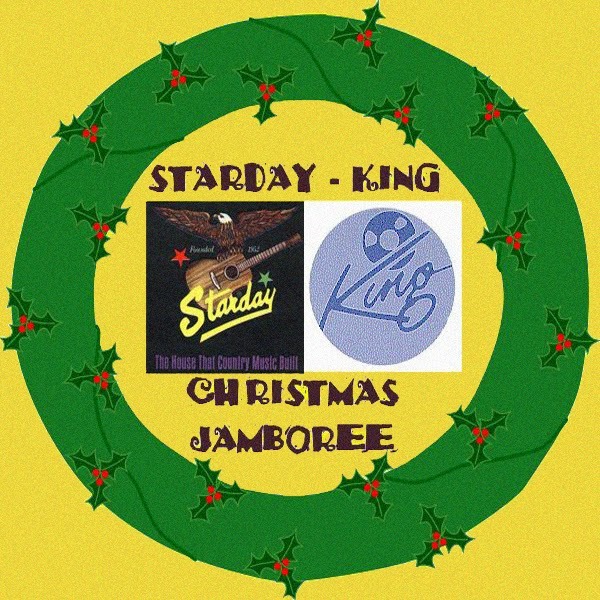 18 seasonal tracks here from the Starday, Starday-Mercury, King and Gusto labels. The genesis of this collection was a 1980's budget cassette that was loaded with great country and bluegrass artists, along with some lousy easy-listening banjo schlock. Here's the best of that collection, sans schlock. Being a Starday comp, I had to include a little George, so I added "A New Baby For Christmas". Also of note is the Stanley Brothers' "Christmas Time Is Near". This version includes the original ending, during which some tape dropout occurs on the master. By contrast, the version on the "Early Years" box set has had the ending shortened to avoid the dropout. That is not the case here, collectors rejoice! 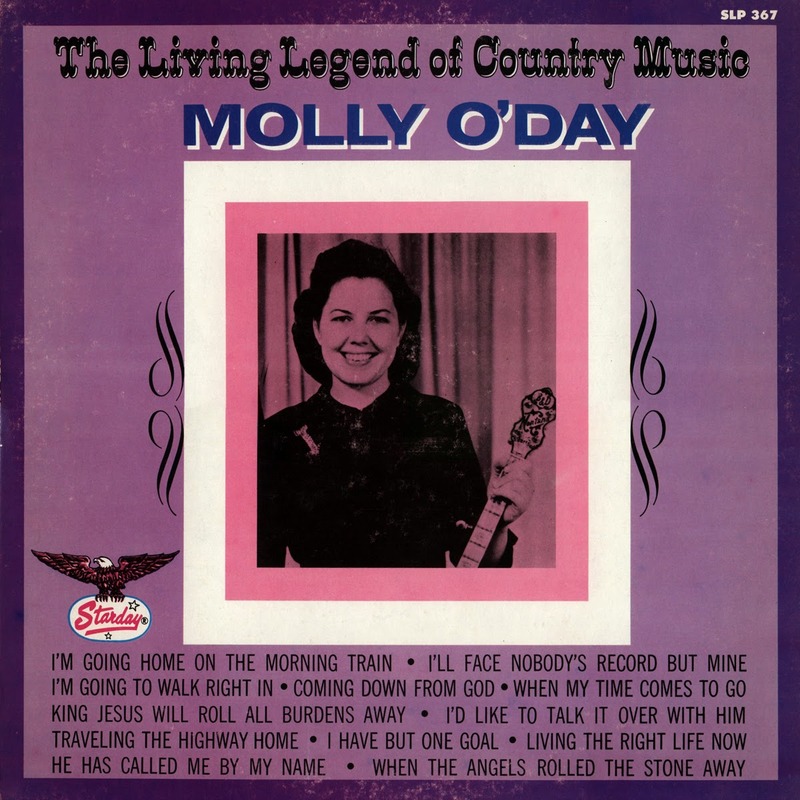 While going through cassettes looking for Uncle Am Stuart I ran across some tapes I bought years ago of old Starday albums reissued on the Hollywood label.This is one of them, "The Living Legend of Country Music" by "the female Roy Acuff", Molly O'Day. 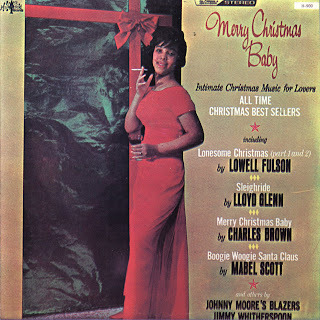 First released on LP as SLP-367 in 1966, it offers twelve gospel songs played by O'Day and her husband, Lynn Davis. Along with Davis, Molly was a great hillbilly star in the years immediately following the second world war. Despite success, in the early '50's O'Day and Davis abandoned a thriving career in secular music when they converted to Christianity. They fulfilled their contract to Columbia records by recording only sacred material and upon fulfillment of their recording and performing obligations refused to play for several years. By the time of this album, they had worked music into their missionary efforts and were again performing on local radio. 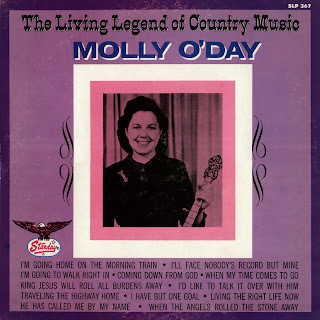 It was Molly O'Day, indeed, who in the early '60's convinced a skeptical Wade Mainer that singing and playing the banjo could be constructive if used in doing the Lord's work. Molly O'Day passed away in 1987. "Uncle Am" Stuart (was) a 73-year-old safe and vault salesman, champion fiddler, and raconteur from Morristown, Tennessee. In the first week of June (1924) he was in Manhattan recording "Cumberland Gap/Grey Eagle" (14839). While in the Aeolian Hall studio, he favored New York's WJZ radio audience with a program – perhaps the first Tennessee mountain music to be broadcast in the metropolis." Other than this reference, there has been scant information through the years about this Tennessee fiddler who recorded sixteen sides for Vocalion records in 1924, twelve of which are featured here. He is often seen in pictures of old Tennessee fiddler's conventions, but I don't believe there was ever an LP on County, Old Homestead or Rounder featuring his playing. This album was put together by the late Graham Townsend and issued privately by him. My copy is on cassette, there may have been LPs of this as well but very few if any. These were exceedingly raw transfers, they sounded very noisy. I have done as much as possible to clean them up without impairing the original performances. I constantly referred to the raw transfers while performing the process. Considering that the source was at least third generation recordings of less than perfect originals, I feel the result is a great improvement. I hope you enjoy one that never made it to the County 500 series! Two gospel albums here from the mighty Mr. Wade Mainer, who turned 101 years old on April 21, 2008. Wade and his late brother J.E. are among the very originators of the country music industry, and much has been written and documented about them. I've always had particular fondness for Mr. Mainer's music, and in 2004 I had the great pleasure of attending his 97th birthday concert in Fenton, Michigan. There were lots of great bands and musicians playing, but I was floored when Wade and his wife Julia played beautifully for just over an hour! The first album featured here is "Soulful Sacred Songs", a 1962 King LP comprised of 16 tracks. This is prime stuff, with Julia being featured solo on some numbers such as the incredible "Streamlined Religion". I have added a bonus track to this folder, "He's Passing This Way", another of Mainer's King recordings featured on a 1970's Gusto compilation. The second LP, "Rock Of My Soul" was first issued in 1972 on the Irma label and was later reissued on Old Homestead. It seems not to have been recorded at one time, as there is noticeable variation in the sound quality between tracks, but it is very enjoyable nonetheless. 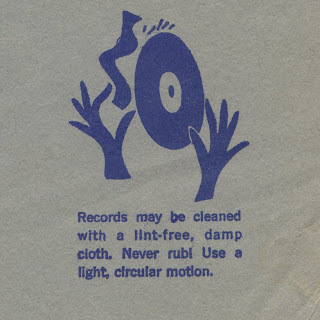 The track listings on the LP jacket and record label are not consistent with the program on the actual record, the tracks in the folder here are the titles and sequence from the disk itself. 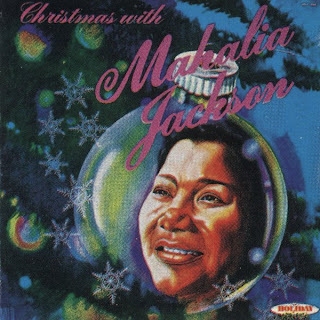 Julia is featured solo on a song here as well, "I'll Live Again". 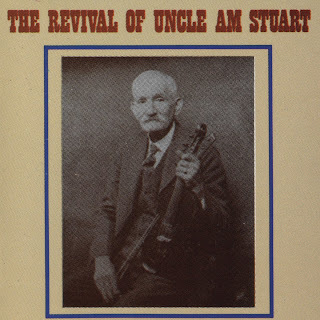 Twelve 1927 recordings are featured on this album by the great Georgia fiddler, Earl Johnson. Another gem from County's 500 series, this one issued in 1976. Sound quality is fantastic for 1927, they must have had amazing copies of the originals. If you've never heard Johnson you're in for a treat. His fiddling stands up incredibly well to modern ears, he is clever, inventive and aggressive, three traits that make for the pinnacle of the art. The blending of Johnson's vocals with banjoist Emmett Bankston's piercing falsetto is also a high point here, and "I Get My Whiskey From Rockingham" has got to be one of the greatest hillbilly records of the twenties. Includes jacket scans with full notes by Donald Lee Nelson. "Doctor" Lew Childre (1901-1961) was a legendary radio singer, slide guitarist, personality and pitchman from the golden era of southern broadcasting. He was on countless stations, but spent his later years in Nashville associated with the Grand Ole Opry. He may be seen in action on several of Al Gannaway's 1950's "Star of Grand Ole Opry" shows, in full colour, no less. This download contains two folders, one containing Lew's 1962 Starday album recorded with assistance from Cowboy Copas, Josh Graves and Junior Huskey (!). As a bonus, this folder also contains his 1951 Mercury recording of "Riding The Elevated Railroad". The second folder contains a 1981 LP of radio transcriptions from 1946, just Dr. Lew by himself, though he's never stuck for words. It's a really wonderful document of a bygone era of American radio. Both albums are continuous programs, so I have included each of them as single uninterrupted mp3s. This is a fantastic LP from 1978 on the Glendale label. 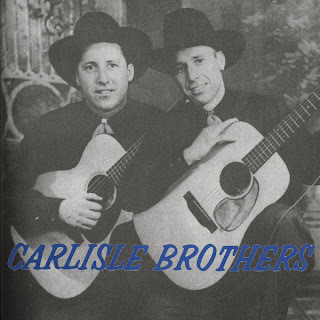 It features 1930's radio recordings by Carson Robison and his Pioneers, consisting of Robison and John, Bill and Pearl Mitchell. This is great vaudeville hillbilly, and while it's not the authentic mountain stuff (Carson was Vernon Dalhart's old partner) it is exceedingly entertaining. The songs, playing and vocal arrangements are top notch and much of this material is ripe for revivalists. Because the record plays continuously as one show, I have transfered this as one mp3 rather than chopping it up. A wonderful collection from County's old 500 series of reissue LPs. Consisting of A.P. Thompson on guitar, Bob Cranford on harmonica, Paul Miles on banjo and Guy Brooks on fiddle, the "Red Fox Chasers" recorded between 1928 and 1931. In addition to the twelve tracks from the original LP, I have included "Wreck On The Mountain Road" from another early County anthology. Includes jacket scans with detailed notes by Richard Nevins. More hard to find old time music, this time in the form of a 1966 Decca LP from '30's radio transcriptions by Asher and Little Jimmie Sizemore. Asher Sizemore began featuring his son on his depression era radio shows over Nashville's WSM and as a duo they proceeded to become a phenomenon. I found these recordings very enjoyable, and I'm usually not much into "kid" singers. Asher is very much a radio crooner, while Jimmie sounds more old timey. In fact, on "Sweethearts of Strangers" the younger Sizemore's singing reminds me of Sara Carter. 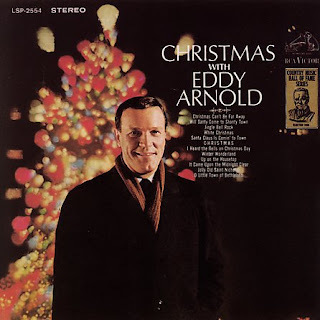 From 1965 comes the ultimate Canadian Christmas album. I'm sure this was a household tradition for many. Wilf, or "Montana Slim" as he was known south of the border recorded seven tunes for this album, including the self-penned title track. The remaining three titles are older recordings, probably from the early '50's. 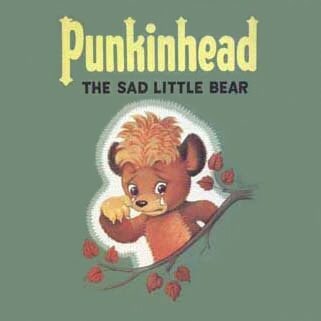 The most interesting of these is the story of "Punkinhead", the sad little bear. "Punkinhead" was an attempt by Eaton's, the Canadian department store chain to emulate the success of post-war Christmas marketing creations like Rudolph and Frosty. Opinions vary on how successful they were, and today in Canada "Punkinhead" is little but an obscure memory. Click here for more about "Punkinhead"
The late Ward Allen was one of the great Canadian fiddlers of all time. Despite this, very little has been written or observed about either the man or his music. He is most often recalled as having written "Maple Sugar", the enduring two-step that has become virtually an anthem in Canadian fiddle culture. While this has certainly kept his name in circulation for over fifty years, very little of his life and work outside of his association with this famous tune are documented in any significant way. With the passing of years there are fewer people who remember the days when Ward Allen was a major Canadian star. "At 5, while on a month's visit to Regina, he daily entertained his cousin's kindergarten with mouth-organ and step-dancing - his first public appearances. "Music was in his blood. On both sides of his family, uncles and grandfathers were noted for their ability in fiddle-playing and step dancing. His four older brothers all played fiddle, and when unobserved, Ward would lovingly tune and play the forbidden instruments. His talent could not be hidden for long. By the age of 12, it was known that young Ward had a flair for the strings and his older brother Lorne started him out as a partner on barn dance dates, Ward playing twin fiddle and sometimes "doubling" on piano." "In his teens, Ward won many local fiddling contests, but it was not until after a soujourn in the West (harvesting in Manitoba and logging for several years at Port Alberni, B.C.) that Ward Allen became a name of national significance." By the late forties, Ward was back in Ontario and at some point became associated with radio station CKNX in Wingham, Ontario. CKNX was home at the time to what was billed as "The World's Largest Travelling Barn Dance", a live country music showcase that was broadcast from a different location in the surrounding area every Saturday night. With the CBC sometimes picking up the show for national transmission, it became somewhat of a Canadian equivalent to the American "Grand Ole Opry". Artists from all over the country relocated to Wingham for a chance at national exposure. Many artists who later went on to fame started their careers there, including CBC veteran Tommy Hunter and Gordie Tapp of "Hee-Haw" fame. The exposure that this station would have given Ward, especially in Canada's rural regions, cannot be overstated. In addition to the Barn Dance, there was an almost endless stream of country music programming produced at the station by artists such as Earl Heywood, Cactus Mac, Jack Kingston, etc. Ward participated in many of these shows. At CKNX, Ward was part of a group of back-up musicians that included among others pianist/accordionist Bill Mankiss, steel guitarist Lloyd Bank, and fiddler Mel Levigne. Ward and Mel Levigne often performed as "twin fiddlers", and there are surviving recordings from Earl Heywood broadcasts with the two playing "western" style fiddle in close harmony. However, Ward's renown was as much more than just a back-up fiddler. The postwar era in rural Canada was in some ways a golden era of fiddle music. At a time when Hank Williams, Lefty Frizzell, and Canadian ex-patriot Hank Snow were the huge country stars in the U.S.A., fiddlers playing reels, jigs, two-steps and waltzes were headlining their own shows in Canada. Spurned on by the phenomenal success of Don Messer during the war years, the 1950's saw the rise of regional and sometimes national fiddle stars such as Ned Landry, King Ganam, Andy Dejarlis, and an extremely shy adolescent prodigy from Toronto named Graham Townsend. These players headlined with clean, rolling renditions of old jigs and reels, as well as many new tunes composed in the old forms. Singers on these shows were often considered a secondary attraction; the rural population came out first and foremost to hear how well a pro could ornament, slide, and double stop the tunes rural Canadians had grown up hearing. This zest for fiddling amongst Canada's rural people led to the strong resurgence of the fiddle contest in those postwar years. With automotive travel now commonplace, what had once been mostly local affairs grew to become regional and national gatherings. The first great contest in Ontario was at the Canadian National Exhibition, or "C.N.E. ", and Ward won this contest in both 1949 and 1950. In 1953 he became the second fiddler in history to win the annual contest held at Shelburne, Ontario after his partner Mel Levigne had won it in 1951 and 1952, it's first two years of existence. Based on his 1953 win at Shelburne, Ward was chosen to represent Canada the same year at the International Fiddling Contest held at the Louisville State Fair in Louisville, Kentucky. One of Ward's tune books claims that legend of his Shelburne win spread so far that Her Majesty Queen Elizabeth II requested a recording of his winning performance for her royal library. With this kind of exposure, Ward was definitely poised to sell records, and he made his first 78 rpm sides for Toronto's small Alvina label in the early 1950's. In 1954 he began recording for Sparton records in London, Ontario. Sparton pressed records under contract for many American labels, including at one time the mighty Columbia. Ward benefited from the excellent distribution the company could provide, and his records found their way into homes in all corners of the nation. In 1956 Sparton released a record of Ward playing the old Ontario tune "Back Up And Push" (not to be confused with the American breakdown tune of the same title) and as the B side they included a fairly simple two-step Ward had composed titled "Maple Sugar". In a classic case of the flip-side eclipsing the intended A side, "Maple Sugar" went on to become a bona-fide jukebox and radio hit in Canada, and achieved enough attention in the States to get Ward's records released on Pappy Daily's small "D" label out of Houston, Texas. Based on the popularity of the record, Sparton released a long playing album of Ward's tunes, titled "Maple Leaf Hoedown". Of course, Maple Sugar was only one of the many great tunes Ward composed. Tunes of Ward's that are still played commonly by fiddlers today include "The Old Box Stove", "Maple Leaf Two-Step", "C.N.E. Breakdown", "Back To The Sugar Camp", "Frenchie's Reel", "Frisco Waltz", etc. It is probably not fully appreciated how much of a stylistic influence his playing has been in Canada and beyond. His playing stands up today for it's flowing phrasing, strong tone and beauty of expression. In retrospect, he fits neither into the school of "Down East" devotees of Don Messer or the generation of Canadian fiddlers who attempted to copy the hoedown fiddling that came via Nashville. He played many of the tempos and phrasings that are still heard in southwestern Ontario today. He doesn't use double stops excessively, but does not avoid them. He makes great use of drones by playing the fourth finger as well as the next highest open string. His fiddle often achieves a unique deep woody tone, which has rarely if ever been duplicated. His recordings can evoke a spirit of the Canadian landscape at times equal to great works like the songs of Gordon Lightfoot, or the paintings of the Group of Seven. It is only a matter of speculation at this point as to where Ward Allen found such inspiration. As mentioned, he was known to travel extensively about our country. He completed many years of Canadian tours, first with the legendary Wilf Carter, and later with the group "The Happy Wanderers". How much of a toll this kind of travelling might have taken on him is unknown. It is known that by the mid fifties he had developed a reputation for consuming alcohol, and this too has become part of his legend. There are some who feel it was his burned bridges from drinking on jobs that caused him to leave CKNX and relocate to Ottawa in 1955. If this is indeed true, his troubles seem not to have followed him, at least at first, for he became truly legendary in the Ottawa Valley. Ward is so associated with the Ottawa Valley that many people believe him to be from there, when in fact he was born and started his career on the other side of the province. He became part of the CFRA "Happy Wanderers" who were stars of regional radio and dances for a decade leading up to Ward's death. Ward continued to record, producing numerous singles and two more volumes of "Maple Leaf Hoedown" LPs as well as two volumes of the printed collection, "Ward Allen's Canadian Fiddle Tunes". The Wanderers were on CFRA radio from 1955 to 1964, and on CJOH TV in 1964 and 1965. Fiddle stars like Don Messer and Graham Townsend recorded Ward's compositions, and Maple Sugar became a standard in his short lifetime. Nevertheless, apparently Ward's busy schedule combined with his drinking took its toll. In late summer of 1965 Ward played on a recording with the great American bluegrass star Mac Wiseman. Mac was recording an album of songs composed by Canadian artists with distinctly Canadian themes. One of the tunes was Ward's own "Maple Sugar", with words that had been written by the Ottawa Valley's Hank LaRiviere. The album, titled "Mac Wiseman Sings at the Toronto Horseshoe Club", was released by Sparton in Canada and by Wiseman's own Wise records label in the U.S.A. Unfortunately it would be Ward's last recording as two weeks after it was finished he passed away while playing a show in Hull, Quebec on August 3, 1965. Ward left behind a wife and two sons, as well as a country full of fans and aficionados of his artistry. His nephew, Lorne's son Jim, as well as Ward's protégé Graham Townsend recorded tribute albums of his tunes. Mac Beattie wrote and recorded a tribute song, "The Maple Sugar Blues". In 1983 Ward was inducted into the Ottawa Valley Country Music Hall of Fame. Ward Allen is interred in a small church cemetery near his boyhood home. His records continued to sell into the 1970's, kept in print on the GRT label after Sparton became defunct. Eventually the GRT releases went out of print, and his original, unaltered recordings have been absent from the shelves for decades now. His old records are practically family heirlooms, especially the rare singles. Because of this, many young fiddlers are no longer familiar with his work or his style, even if they've learned his tunes from books. Perhaps in the future all Canadians from our governments and cultural organizations on down will be more mindful of our own great heritage and Ward Allen's influence will once again be stronger felt. In the meantime it is hoped that this profile will expose many old fans and new converts once again to Ward Allen's "Maple Leaf Hoedown" fiddling. 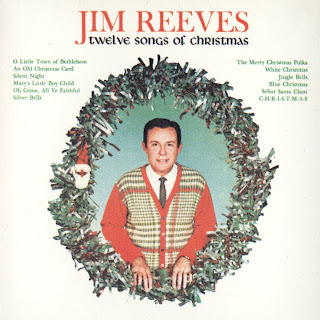 'Tis the season, and between now and December 25th I'll be posting some hard to find Christmas classics. 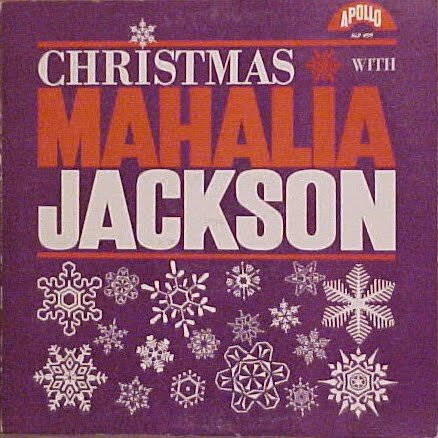 First up is this very fine collection of R & B Christmas tunes on the Hollywood label. The original LP was first released in 1956, comprised of tunes from Hollywood's great roster of artists. I found this little gem on CD in a bin in Shopper's Drug Mart over ten years ago. I imagine the original issue is an out-of-reach collector's item for most, so I hope this post allows each and every one a chance to savour this unavailable classic. Merry Christmas, baby! This post is follow up to "Smilin' Jack Silvers". I came into this some time after the previous album, and though it's not nearly as well recorded, it is an interesting bit of Quebec country. The album features each of the five members presenting two songs each. 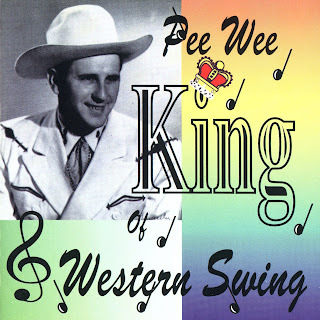 It leads off with a good steel guitar performance on "West of Semoa(sic)" by Red Larocque. Red also closes the album with the novel "Hawaiian Tattoo". Jack Silvers is back with a cover of Benny Martin's "Ice Cold Love" and "Your Name Is Beautiful", a 1958 hit for Carl Smith. Unfortunately the vocals are at times buried in the mix throughout this album and "Ice Cold Love" suffers this fate worst of all. The album has two songs in French, both performed by Roger Bellair. "Mes Chers Vingt Ans" is a Paul Brunelle song, and "Diggy Giggy Lie" is the French lyrics to Rusty and Doug Kershaw's ersatz Cajun novelty "Diggy Liggy Lo" credited here to J. D. Miller. Gaetan Gagner, who is apparently the "Kid" alluded to in the band's name performs the honky-tonkers "Leave Me Something To Remember You By" and "Heartaches By The Number", originally performed by Buck Owens and Ray Price, respectively. Despite a thick French accent I rather enjoy Gagner's sincere delivery. Finally, Andre Gagner fiddles two tunes here, the traditional American tune "Sally Goodin'" and Don Rich's "Tum Water Breakdown". Clearly, Gagner was following American fiddle records as much as any traditional Quebec fiddle he must have heard. Although this doesn't quite match up to the quality of Jack Silvers' earlier album, it is an interesting snap-shot of a working Quebec country band of it's era. The album proclaims it was "Produced by Tex Lavallee Enterprise" and based on the back slick is from c.1971. 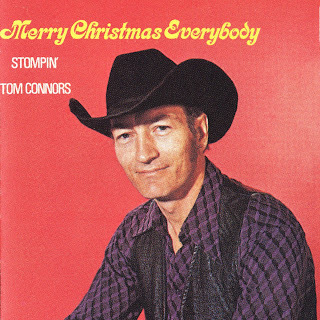 This is one of the best Canadian honky-tonk albums I've ever heard. I bought it in McKay's Corners, Ontario over fifteen years ago when I was first looking for vintage Canadian country records. Although it's not exactly mint, I've never encountered another copy, and have really treasured this album I've known so little about. On the obscure "Acadia" label, it was distributed by London and has the generic back slick used for the Banff label listing Banff LPs ranging from RBS. 1032 through RBS. 1110. The jacket certainly has the look of early London, Rodeo and Banff LPs. I've never been able to find any information on Jack Silvers. I suspect he may have been from the Ottawa Valley, but this is speculation on my part. 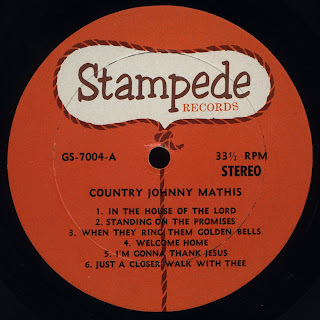 A few of the songs on the album are composed by noted Canadian country artists of the period such as Bob King (from the Valley), Will Odo (who recorded "Roses and Rings" himself for Rodeo), Dusty King (from Quebec) and three are by Jack Silvers himself. Silvers turns up on another album in my collection, a mid 60's Quebec country LP by "Kid and His Green Mountain Boys" which features two songs by Jack along with solos by other members of the group (this will be the next post). Silver's vocals, songwriting, backup band and the recording quality of this album all floor me. I'd put the recording date about 1960 or so, based on the sound and material as well as the back slick which features Banff albums of this vintage. This album really does stand up next to anything Nashville was doing, this could just as easily have been done on Starday. Where it was recorded and who the players are on the album are both unknown to me. UPDATE! - May 20, 2011 - Since this post, I have learned a lot about Smilin' Jack! Steel Guitarist Terry Sutton, who plays on this 1963 album, sent me a wonderful audio recording of one of Jack's TV shows. Click here! Includes front cover and label scans. 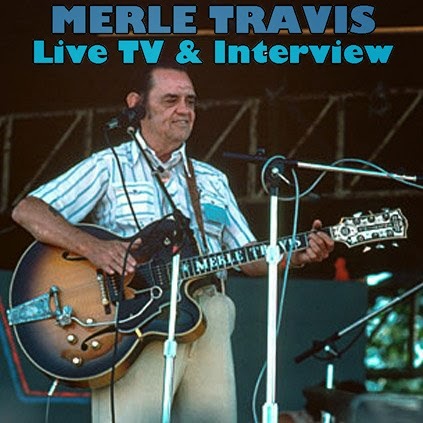 A baker's dozen from this star of early country music television. A controversial figure, he seems to straddle that slippery gray area between genius and hack. His playing and singing are erratic to say the very least, but there is something compelling about his originality. I bought the Crown album (CLP 5324) in Harrow, Ontario some years back, having heard of him but never having heard his music. Nothing could have prepared me for Carman's bizarre phrasing (he makes Hank Snow sound like Pat Boone) and his, uhhh, questionable sense of both meter and intonation. I wanted to dismiss it, but to be truthful I find myself continually drawn back to it. These files consist of the ten tracks from the Crown LP plus three more instrumental tracks from the Design LP "Kings Of The Steel Guitar", DLP-196. "Wildwood Flower" is listed on the jacket of CLP 5324 but not included on the record. Just wanted to thank everybody for all the support so far, I really appreciate all the great comments. Thanks as well to all who have linked and posted messages in promotion of the new blog. It makes it feel like the time spent transferring is "worth it". Here we have the two LPs Bill and Earl Bolick, the Blue Sky Boys recorded new for Starday in the early '60's. Starday had released some old recordings (this album will be featured soon) by the duo and response had been so great the Bolicks were prevailed upon to make new recordings for the label. These two albums, the first one secular, the second gospel, were the result. The gospel album is straight up Blue Sky fare and "Why Should You Be Troubled And Sad" is beautifully haunting, while tracks like "Why Not Confess" are surprises, definately the closest the boys ever got to honky-tonk. 16. My God, Why Have Forsaken Me? Not to be confused with the pop crooner of the same name, "Country" Johnny Mathis is perhaps most remembered for being one half of the duo "Jimmy & Johnny" along with Jimmy Lee Fautheree. In the sixties he temporarily ceased performing secular music and became a gospel act. His raw country style didn't falter though, as this 1965 LP on the Stampede label bears out. He's in fine voice here and the unknown steel guitarist nails it as well. This folder will make a great companion to the Jimmy & Johnny CD on Bear Family and all fans of his earlier work will want to check this out. More great old time music on Starday SLP 182 from 1962. It seems almost every veteran from the pre-war era Opry that was still kicking around by the early '60's made an album for Starday. When this album was recorded Sam and Kirk McGee and the Crook Brothers were still being featured on Saturday nights to represent the early Opry string band sound. Added to the mix is Jerry Rivers, the fiddler with Hank Williams' Drifting Cowboys. I bought this album in a flea market over ten years ago and have enjoyed it thoroughly, hopefully you will too! *Track #15 is a bonus I added, "Lost Indian" by the Crook Brothers. It's from the same session as this album, and was first featured on the Starday LP "Fiddler's Hall Of Fame", SLP 209 in 1963. 28 files by the great Don Messer and His Islanders. These are from broadcasts of his 1960's top-rated television show, "Don Messer's Jubilee". I promised lots of Old Time Fiddling in this blog, and if you're going to talk about Canadian fiddling, Don Messer is pretty much the place to start. Not only was Don the pre-eminent fiddler in the Canada in the mid-twentieth century, he was also one of our most popular bandleaders. Don's exact, ornate style became the standard by which other fiddlers were measured, and every fiddler strove to mold their accompaniment into a seamless organization which could pound the thundering chords and bass runs of the Islanders. Drummers added woodblocks to their kits and guitarists added pickups under their strings to try and get the booming bass that seemed never to rest behind brother Don's crooked fiddle tunes. Some special treats here include a rare performance of the Backwoods Trio. Although Charlie Chamberlain was rarely seen playing a guitar by the time the Islanders were fixtures of 1960's Canadian television, he and bassist Duke Neilson had been Don's original backup on radio back in 1929. They never recorded commercially as such, but every so often would present the original incarnation of the trio as a nostalgic look back at their radio roots. Charlie's guitar playing is particularly fine, and I once remember seeing the late Graham Townsend on television, enthusing about Charlie's prowess as a backup guitarist for fiddlers. Charlie and his singing partner, Marg Osburne take a vocal chorus on the Messer favourite, "Silver Bell". The stepdancing heard in the background of "Kiley's Reel" is none other than a very young Buster Brown! 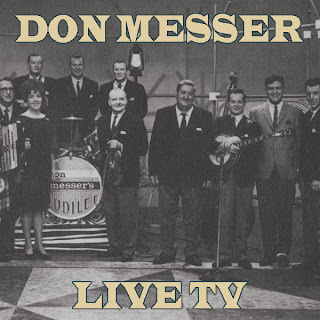 I hope these recordings will help many of you relive the Don Messer show, and that others who've never been able to hear why Messer was such a big deal will finally be exposed to this great Canadian musician. Yours truly was weaned on his playing, and learned many of my favourite tunes off a stack old Apex 78's by Don and the Islanders (posts of these recordings will follow). 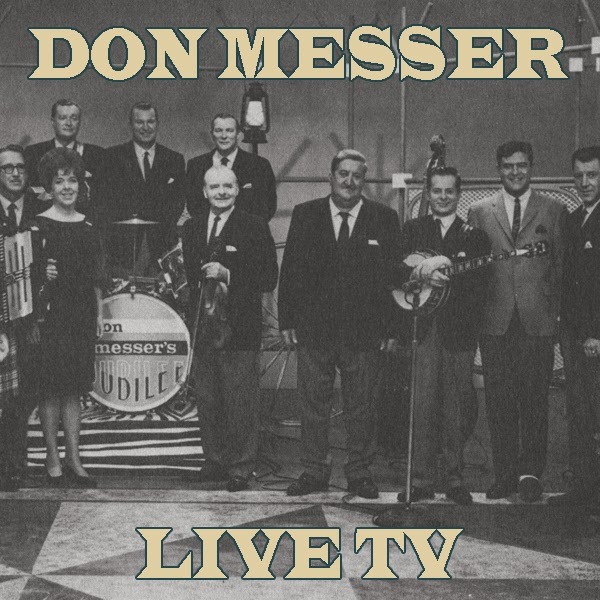 "Don Messer's Jubilee" ran 1958-1969 on the CBC TV network. RODDY DORMAN - 2nd and 3rd Fiddle on "Country Serenade Two Step", "Grandfather's Reel" and "Ragtime Annie"
BUSTER BROWN - Step-Dancing on "Kiley's Reel"
Cliff and Bill Carlisle are featured in this post, which contains 90 tracks in three separate folders. This comprises pretty much my entire collection of Carlisle recordings, culled from two Cliff LPs on the Old Timey label, an early King LP, assorted LP anthologies and some of Bill's recordings I was fortunate enough to download sometime back. Please forgive the varied bitrates of the files, they were transfered at different times and gathered from different souces and I really don't like to resample. Anyway, this is wonderful stuff, early hillbilly blues doesn't get any better. Enjoy! 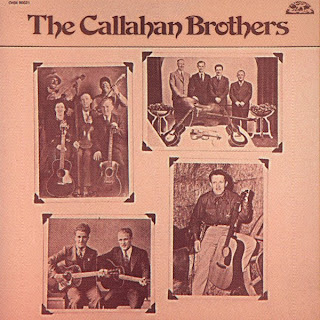 20 original recordings from the '30's and '40's by the Callahan Brothers. This is great rowdy depression era hillbilly music featuring the Callahan's harmony yodeling. Songs range from sentimental to bawdy, and their version of "She Came Rollin' Down The Mountain" is worth the price of admission. If anyone knows the exact source of these recordings please let me know. I seem to recall they are TV soundtracks from the '60's but I am unsure of what show they might come from. The bit where Merle and Jimmy Wakely dramatically but sincerely spin Merle's life story is priceless. These turned up on an obscure 1980's budget cassette with no real info to speak of. A good example of why no junk store should go unscavenged.